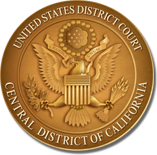 Most of the in-custody defendants for the Central District of California are held at the Los Angeles Metropolitan Detention Center (MDC LA), the San Bernardino County Central Detention Center, the San Bernardino County West Valley Detention Center, or Santa Ana City Jail. The CJA Office has put together a chart summarizing helpful contact information and procedures for these detention facilities on topics related to legal visits for attorneys, paralegals, and investigators; inmate medical treatment; inmate access to discovery; and rules regarding the admission of electronic devices for defense team members. CJA counsel should review this chart, as well as the information provided on those facilities’ own websites, before visiting in-custody clients. CJA counsel must also review MDC LA’s newest inmate policies and procedures regarding mail and electronic discovery, as summarized in the BOP’s October 30, 2018 Memorandum. In addition, the United States Marshals Service has instituted specific cellblock procedures for client in-court appearances at the Court's two Los Angeles courthouses, the First Street U.S. Courthouse and the Edward R. Roybal Federal Building & U.S. Courthouse. CJA counsel should review this USMS Memorandum to ensure compliance.